With the new Samsung Galaxy S4 flying off the shelves at an alarming rate, it is not hard to believe that we are seeing more customers bringing them to us with cracked screens. We do the front glass replacement on all models including but not limited to the Samsung Galaxy S4 M919, L720, i545 & i9500. The phone is currently offered through Sprint, T-Mobile & AT&T. If you are just looking to see which carrier to go with if you are thinking about purchasing a S4 here is a great article. Here is our S4 repair video. Prior to this video the unit was heated using our SMD rework station to ensure the lcd does not break when separating the three layers of glass, digitizer and lcd. 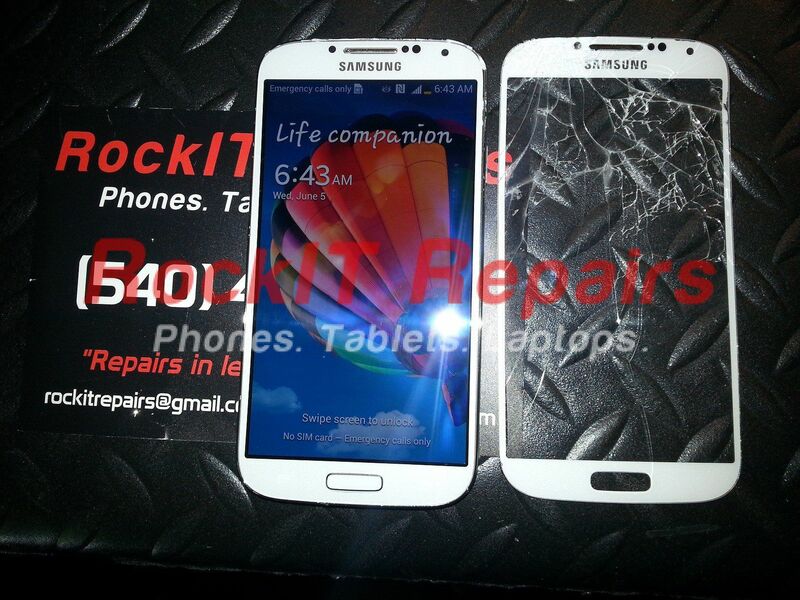 This is a very advanced repair and only one of our techs works on the S3, S4 and Samsung Note and Note II models. I do not recommend this repair for a beginner. Try at your own risk or have our expert tech repair the device.